Hilkinson presents their flagship range, the HighLine ED binoculars. 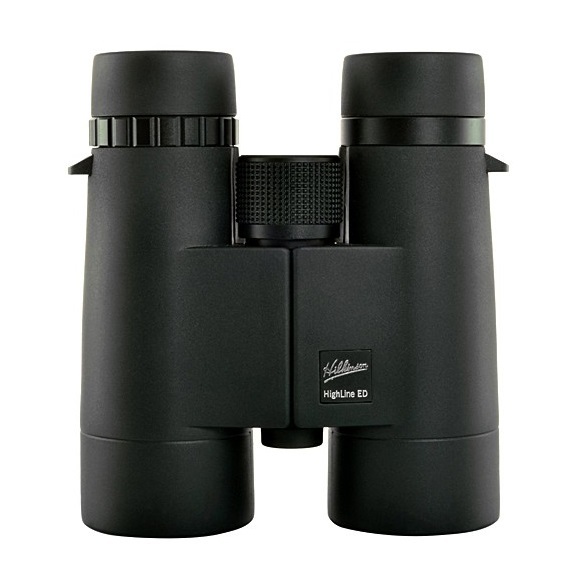 These first-class binoculars deliver one of the brightest and sharpest images available today. Housed in a lightweight magnesium alloy body these binoculars are reduced in weight without sacrificing strength and durability. Designed and engineered to give a balanced performance between functionality, design, optical performance and comfort helps ensure whichever HighLine you choose you get truly fantastic viewing performance. One of the key features of the Hilkinson HighLine range is their extra dispersion ED glass. As a result of this specialist type of glass, light transmission has been proven to be significantly greater over more traditional types of lens glass. The ED glass combined with super high reflective coatings on the prisms gives a brighter and crisper image, especially when using the binoculars in poorly lit conditions. Furthermore, colour rendition and contrast is also greatly improved, giving the viewer a natural and lifelike image of their chosen subject. The HighLine range features a Hilkinson Oleophobic lens coatings. This type of coating helps the lenses to counter water, dirt and general grease build up. Due to the nature of the Oleophobic protective coating, cleaning and care of the lenses is especially easy as dirt and water find it difficult to settle and solidify on the lens surface and can therefore be easily wiped away. Finally, the binoculars are 100% waterproof (field tested) and are nitrogen gas purged which prevents any level of internal fogging, making them excellent when subjected to wet weather and sudden temperature changes.